Get notified when MLB All Star Game tickets are available! The Major League Baseball All-Star Game, commonly called the Mid Summer Classic or the MLB all star game, is an annual event that brings together top players from Major League Baseball’s American and National Leagues. The two leagues vie to come in on top in a friendly game that is enjoyable for both players and fans. 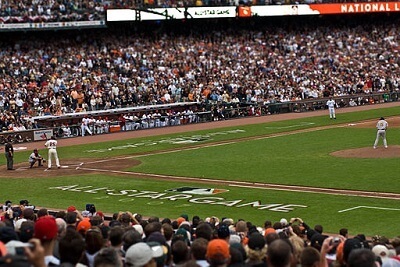 Each year, the MLB all star game is held in the middle of the summer, usually in the month of July. The venue changes each year, and tickets typically sell out. To attend the game, you can use the links above to buy your MLB All Star Game tickets online.